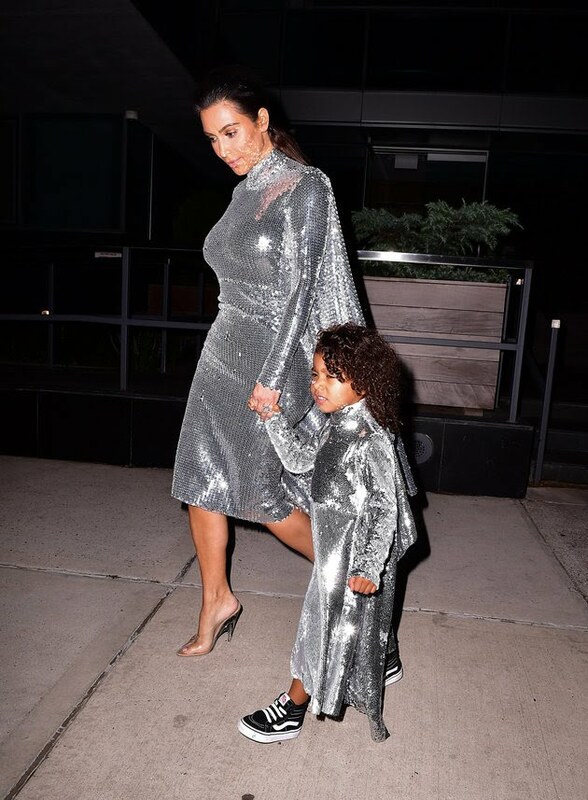 Home / Celebrity Fashion / Celebrity Style / Fashion / KIM kARDASHIAN / North West / STYLE / KIM KARDASHIAN AND HER MINI-ME SPARKLING IN MATCHING SEQUINED DRESSES. KIM KARDASHIAN AND HER MINI-ME SPARKLING IN MATCHING SEQUINED DRESSES. 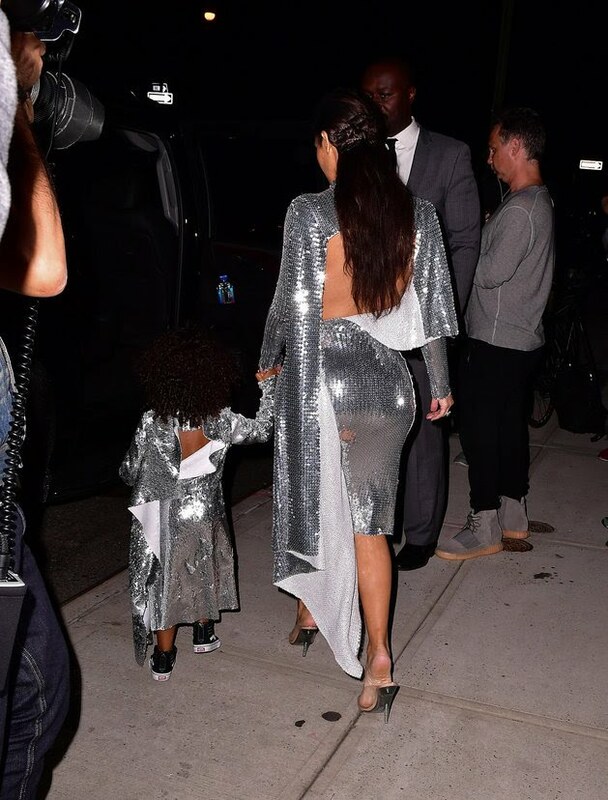 Seems like celebrities with cute baby girls are taking over the fashion world kwa sasa..especially wale wanaovaa matching outfits. 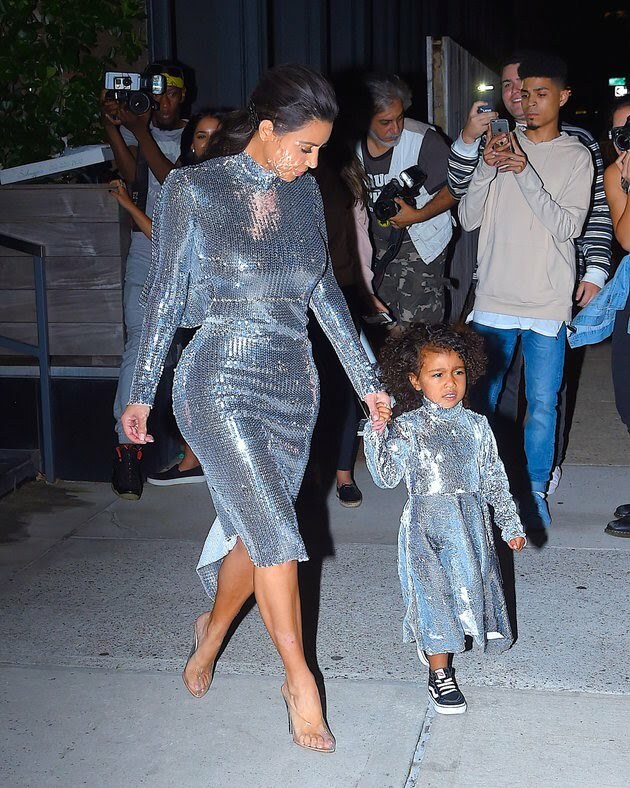 Kim kardashian was seen with her little girl North West wakienda kumpa support Kanye at his NYC Concert. They immediately grabbed the paparazzi attention as soon as they step it of their car wearing matching silver sequined dresses. The dresses were both designed by Vetements. Kim's dress ilikuwa long sleeved, with a high neckline and cutout back..and inathamani ya dollar $12,950 . 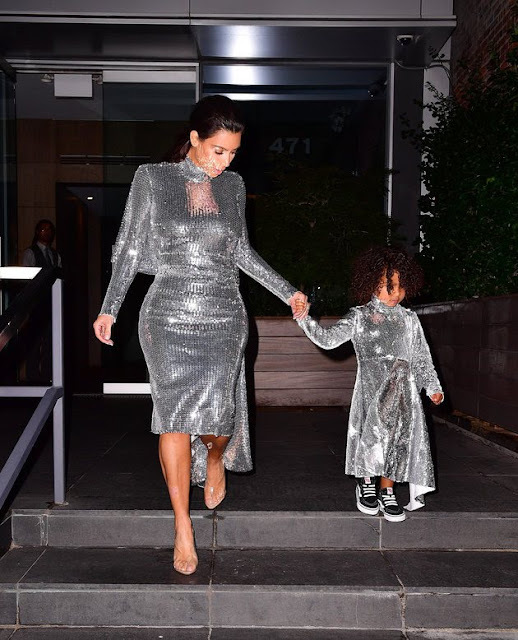 Na North wore the same as her mummy except Yale ilikuwa Na a high sequined collar also with an open back.